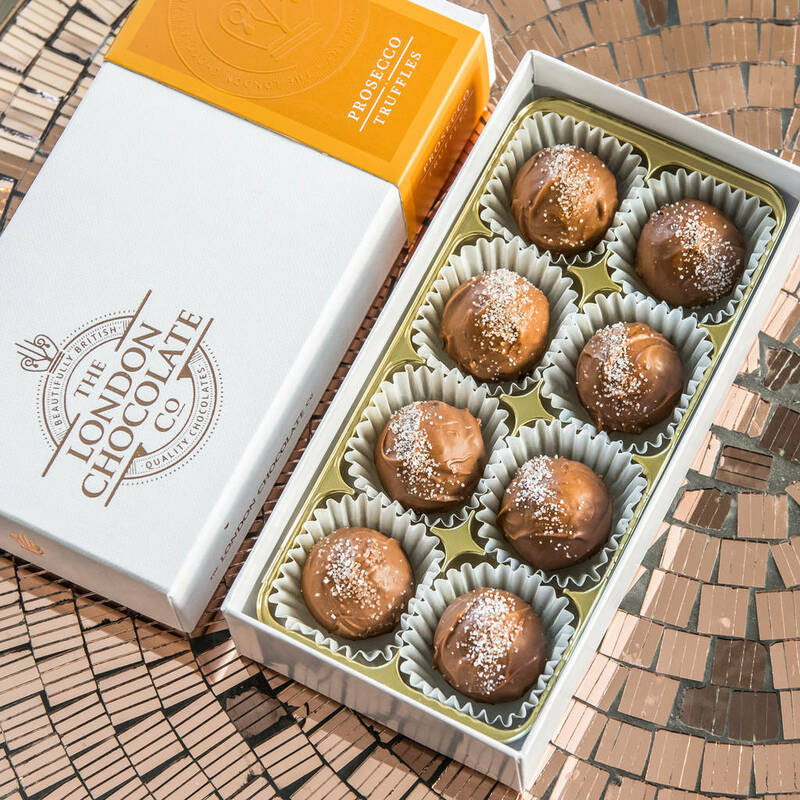 Artisan truffles with premium Prosecco, finished with a fine milk chocolate shell. 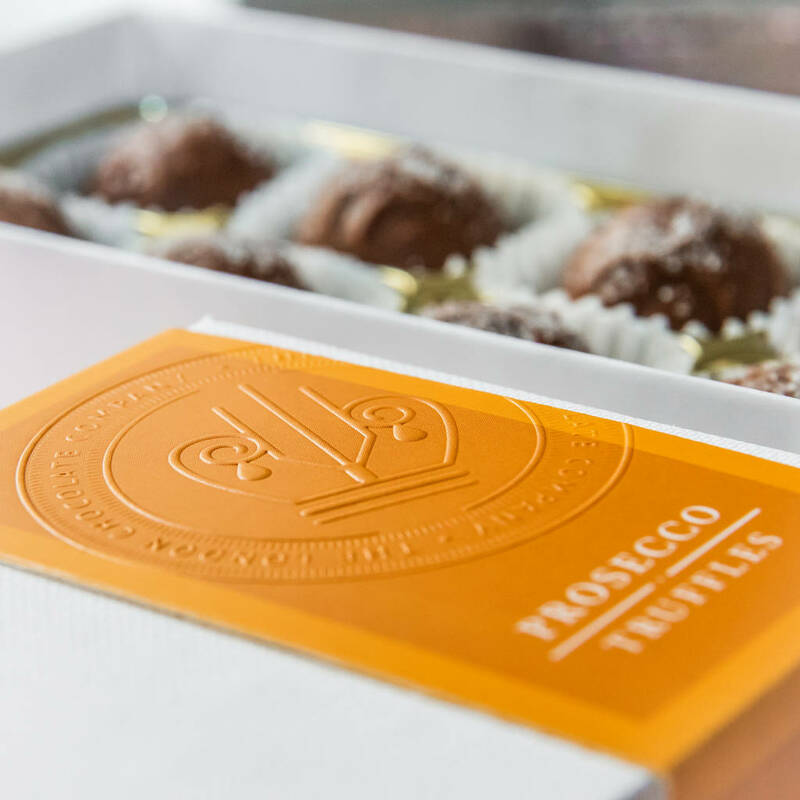 Created by popular demand, we use fine milk chocolate blended with cream and premium prosecco to produce these smooth hand-made truffles. 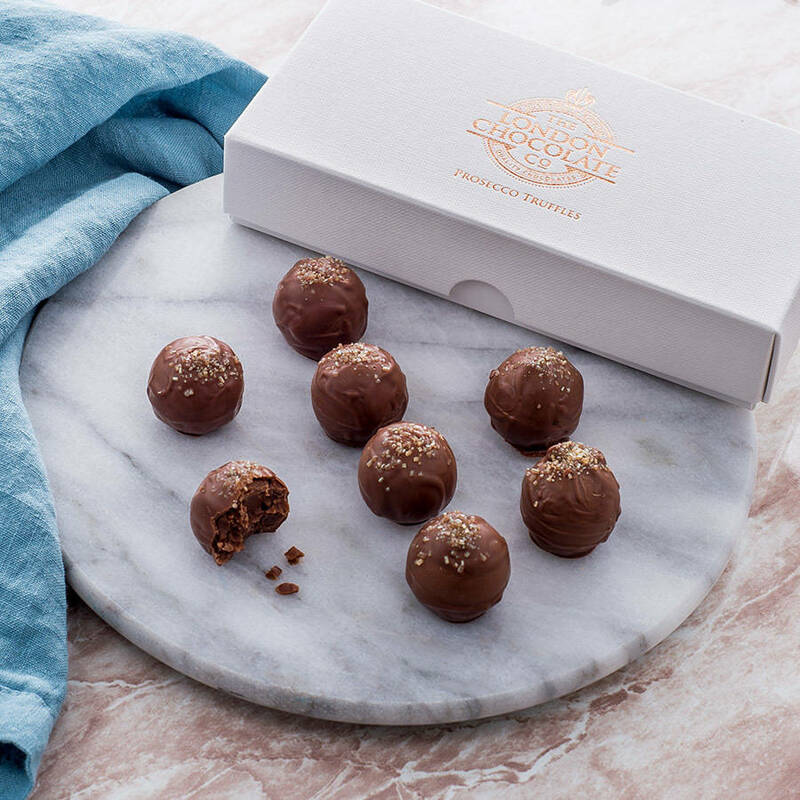 These delightful chocolate truffles are made in London by our team of expert chocolatiers, who have been producing luxury chocolate for over 10 years. 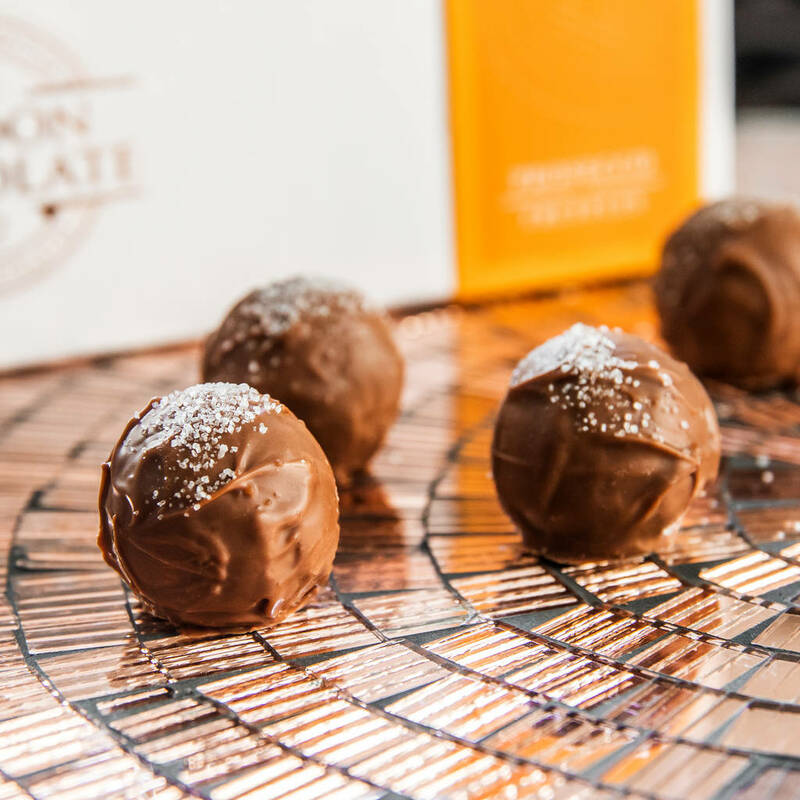 BEST BEFORE DATE: We make our chocolates on a weekly basis in our small production facility in London. 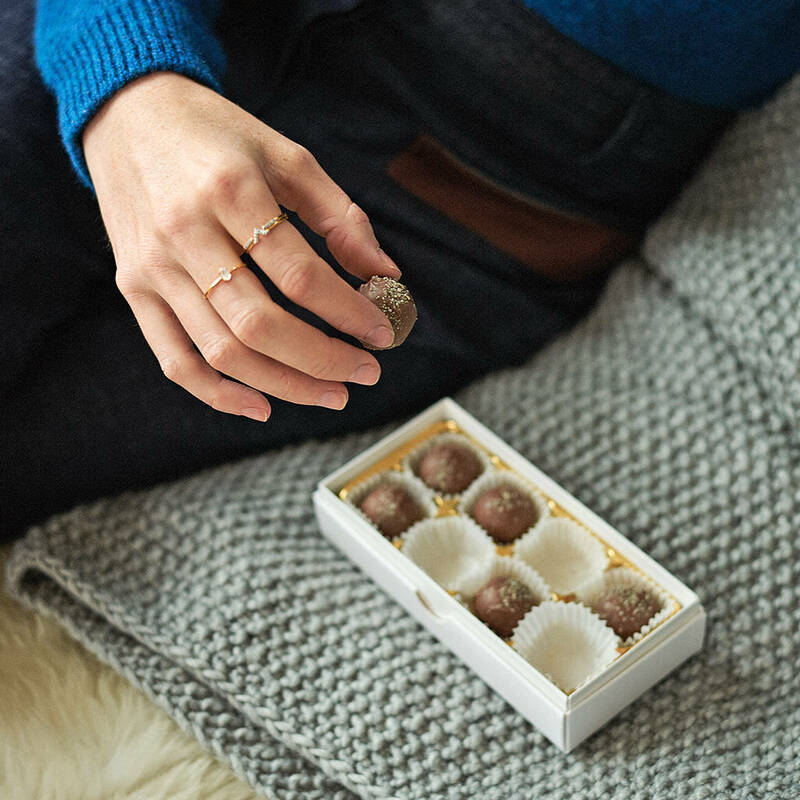 The chocolates are good for approximately 3 months, and we guarantee at least 2 months from when you receive them. 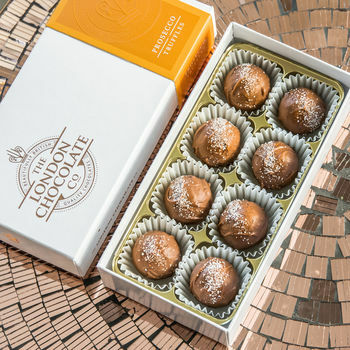 Ingredients: Milk Chocolate & white chocolate: (Sugar, cocoa butter, whole milk powder, cocoa mass, , Emulsifier: Soya lecithin, natural vanilla flavouring), powdered cream, cream, glucose syrup, Prosecco (3%), superfine alcohol, demerara sugar, colouring: E555, E171.